On Saturday, October 31, I had the honor to perform (as Count Gore De Vol) my Halloween Haunted Hypnosis Show at the wedding reception of Daniel and Christina Shank at the Linganore Winery in Mount Airy, Maryland! Before over 140 costumed guests, we met an "Alien Invader," did a "Zombie Dance," appeared on the "Scary Springer Show," and got involved with lots of other fun things. The wedding was covered by the Washington Post and you can read about it HERE! Below is an example of the "Zombie Dance" from a convention show. You don't have to wait for my next club show! I can custom design a Las Vegas Style Hypnotism Show for your Washington, DC area Club, Company, School or Fraternal Organization! No More Boring Parties or Fund Raising Events! Each exciting show is custom tailored to your needs! Just watch this exciting Demonstration! If you have dial up, click here! 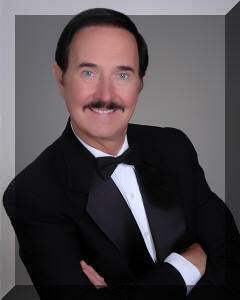 Interested in booking a Las Vegas Style Stage Hypnosis Show? You'll get a quote and a first time booking discount! You can also get FREE email notification of new shows! Just fill in the form and Subscribe! You can also put the power of hypnosis to work in your life! Want to Reduce Stress, Stop Smoking or Lose Weight? Looking for professional Voice over talent?